8. 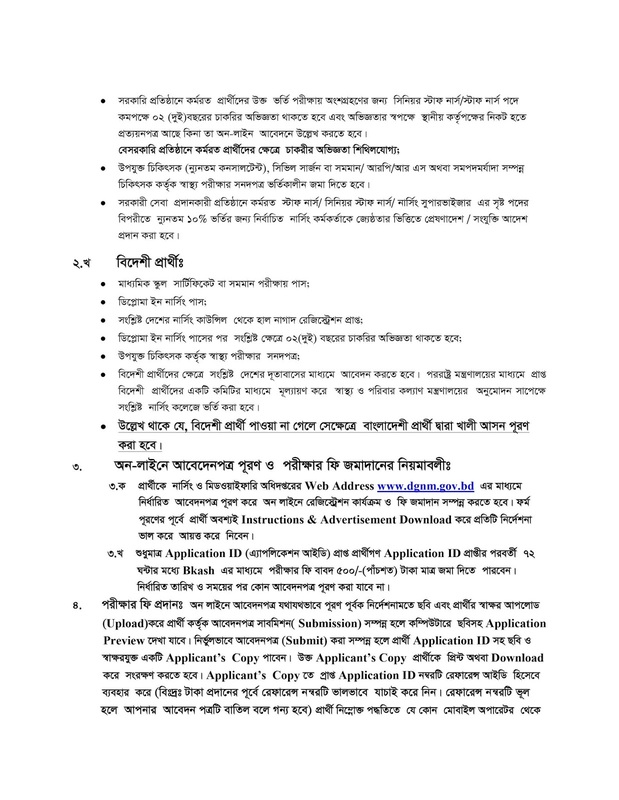 Admission eligibility: Please see the advertisement. 9. 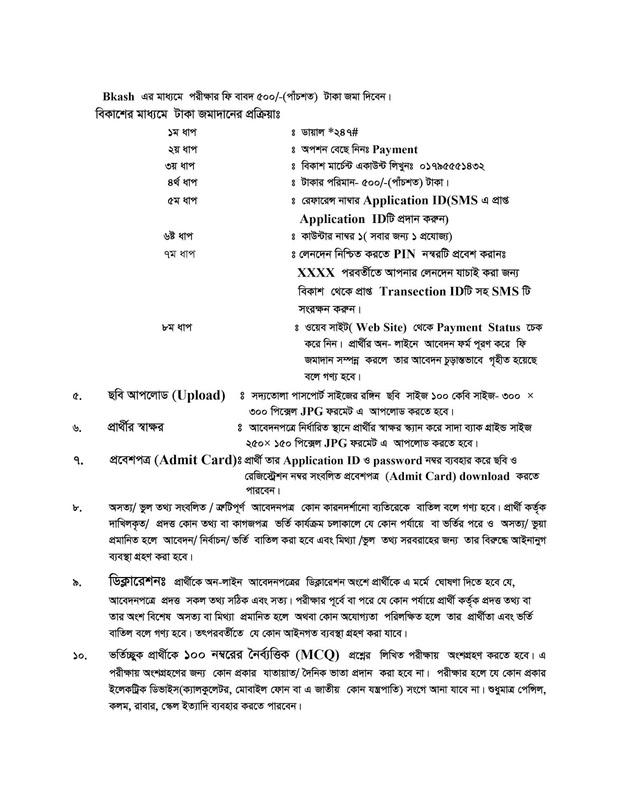 Application Process: Every interested BSc. Nursing/ BSc. Public Health Nursing (Post Basic) below instruction. c. Fill up all information carefuly. e. Dwonload your Application Copy with Application ID. f. Pay 500/- BKash Account within 72 hours. a. Go to http://dgnm.recruitmentbd.net/index.php and Input your User ID and Password. c. Print copy color print. 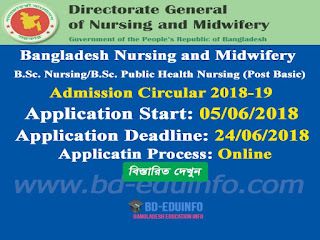 Bangladesh Nursing and Midwifery Council Admission Examination Center and Test Seat Plan will publish Bangladesh Nursing and Midwifery Council official website http://dgnm.gov.bd/. 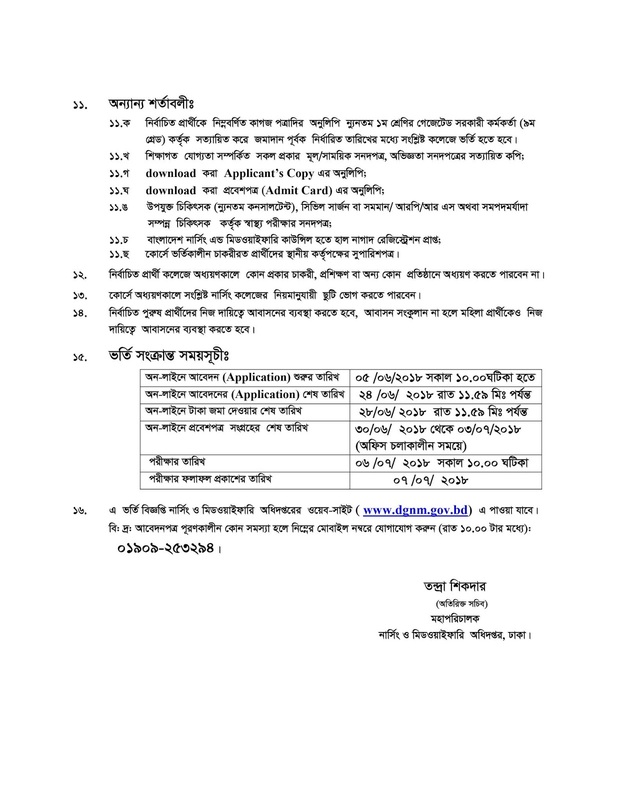 Bangladesh Nursing and Midwifery Council admission result publish on official website http://dgnm.gov.bd/. 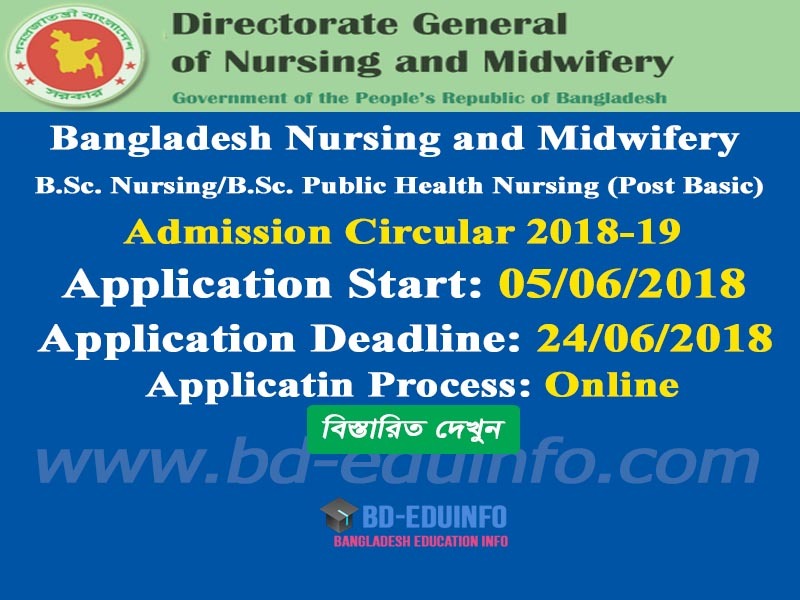 Tags: www bnmc gov bd, www.bnmc.gov.bd, dgnm.teletalk.com.bd, dgnm teletalk com bd, Bangladesh Nursing and Midwifery Council, Bangladesh Nursing and Midwifery Council admission notice for B.Sc in Nursing, B.Sc in nusing, B.Sc in Nursing Admit Card 2018-2019, Bangladesh Nursing and Midwifery Council B.Sc in Nursing Admission Result 2018-2019, bangladesh nursing and midwife, nurse, nursing result, nursing and midwifery, nursing council, bd nursing job today, bd jobs for nurses, nursing job circular, bangladesh nursing, nursing bd, nursing job circular in bangladesh, nursing job in bangladesh, diploma in nursing science and midwifery, dns nursing, bd nursing job circular. 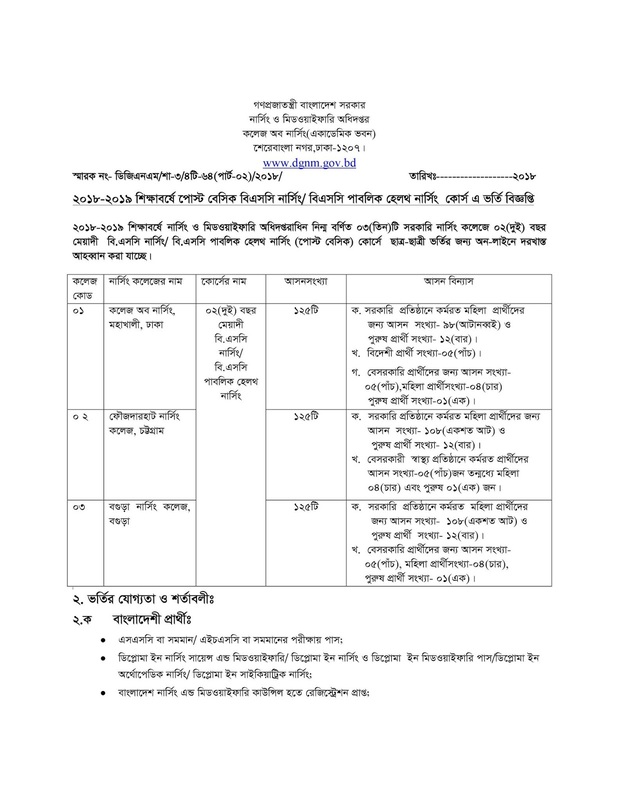 www bnmc gov bd, www.bnmc.gov.bd, dgnm.teletalk.com.bd, dgnm teletalk com bd, Bangladesh Nursing and Midwifery Council, Bangladesh Nursing and Midwifery Council admission notice for B.Sc in Nursing, B.Sc in nusing, B.Sc in Nursing Admit Card 2018-2019, Bangladesh Nursing and Midwifery Council B.Sc in Nursing Admission Result 2018-2019, bangladesh nursing and midwife, nurse, nursing result, nursing and midwifery, nursing council, bd nursing job today, bd jobs for nurses, nursing job circular, bangladesh nursing, nursing bd, nursing job circular in bangladesh, nursing job in bangladesh, diploma in nursing science and midwifery, dns nursing, bd nursing job circular.